The United Kingdom’s largest energy lobbying group has changed its opinion on clean power. Energy UK represents six of the country’s utilities and has established a reputation for being an aggressive defender of fossil-fuels in the past. While the organization have pressured government officials to continue supporting conventional forms of power, Energy UK is now showing aggressive support for renewable energy. The organization notes that the change is needed in order to stay relevant. The United Kingdom has been growing more interested in clean power recently, devoting more funding to new energy projects that allow the country to distance itself from fossil-fuels. Despite the pressure that lobbying groups have placed on lawmakers, the UK government is eager to move away from fossil-fuels in order to cut down on emissions and fight climate change. Wind energy, in particularly, has become quite popular in the UK, with government officials believing that this form of clean power will help the country become more environmentally friendly. Per its changing focus, Energy UK now officially supports the UK government in its endeavor to phase out the use of fossil-fuels. The country will be closing coal-fired power plants in the coming years, relying more heavily on cleaner forms of electrical power, such as solar and wind energy. Energy UK has also begun to criticize government officials that support cutting funding to clean energy projects. The organization believes that now is the time for utilities and the government to work together to make clean power more available for consumers. 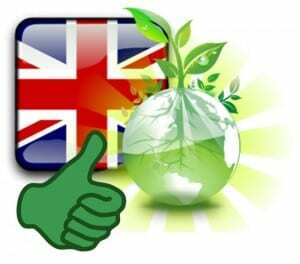 Renewable energy has become a very prominent focus in the United Kingdom. The country aims to establish itself as a leading force in the clean power sector, especially where transportation is concerned. The government has been showing support for clean vehicles, as much of the emissions that are produced in the UK come from the use of conventional vehicles that rely heavily on fossil-fuels.